Happy Birthday Michael! - Michael Jackson The God Of Music ! 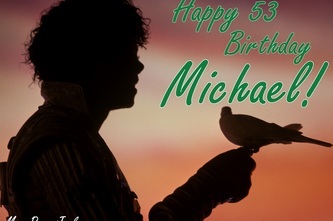 Happy 52nd Birthday Michael. You have been an inspiration to me nearly all of my life and you continue to inspire me. I grieve at the loss we still feel here and at the same time, rejoice in knowing that you are with God. You are safe, happy, full of joy and at peace and feeling all of the love you so longed for on this earth. God Bless You Michael...until we meet... I miss him also!!! im gonna cry tonight. 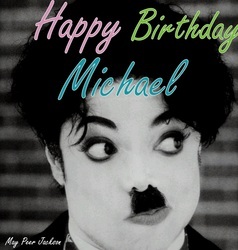 HAPPY BIRTHDAY MICHAEL!! i CAN'T STOP LOVING YOU!!! LOVE ALWAYS!!! HAPPY BIRTHDAY MICHAEL. GOD HAS BLESSED YOU TO MAKE AN IMPRESSION ON ALL , BE A BLESSING TO ALL ,AN IDOL OF ALL And NOW MOST IMPORTANT AN "ANGEL" TO ALL,,,,,,, THANK YOU FOR BEING THE BEST YOU,YOU COULD BE MICHAEL. I WILL NEVER FORGET THE IMPRESSION YOU LEFT ON ME!!!!!!!!!!!!!!!!!!! 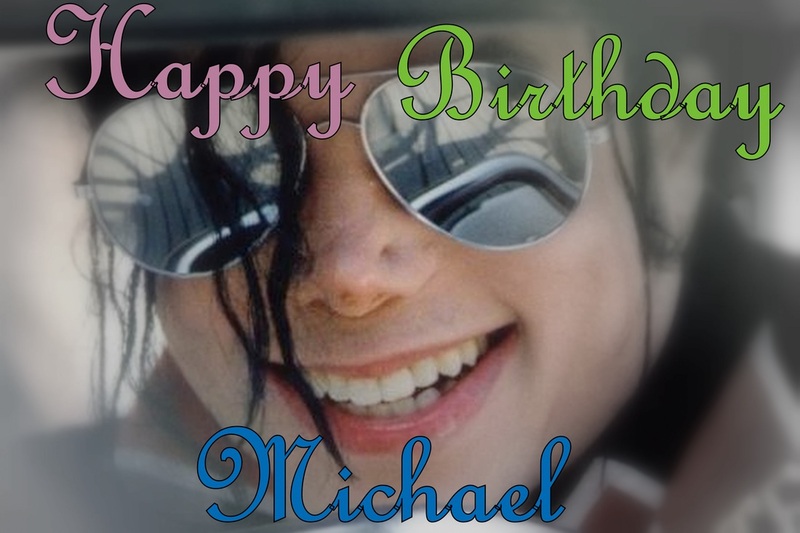 happy birthday michael, you will be loved forvever, you may be gone but NEVER forgotten!! HAPPY BIRTHDAY Michael you are in my heart forever and I miss you and I am donating a tree for your special day to help restore our earth and I know how much you loved climbing trees. MISS YOU and L.O.V.E. you so much!